Ann Arbor city council meeting (July 1, 2013): In a meeting that featured land use and planning as a main theme, the council chose to put off final decisions on two significant issues. First, councilmembers postponed a decision on a change to the definition of “sidewalk” in the city code – which would have implications for the adjacent property owners of “cross-lot paths.” While the definitional change would allow the city to take responsibility for capital repairs on such cross-lot paths – using sidewalk repair millage funds – it would place the burden of winter snow shoveling on adjacent property owners. 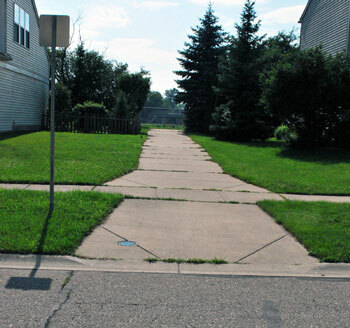 That division of responsibility for repair and maintenance is one that’s now familiar to owners of property adjacent to sidewalks that run next to a road or a street. Given the number of open questions about how logistics would actually work, and concerns expressed during the public hearing on July 1 as well as at a previous public meeting on the topic, the council decided to postpone a final vote until Oct. 7, 2013. Second, the council postponed a vote on adding the South State Street corridor plan to the city’s master plan, which consists of several separate documents. The city planning commission has already voted to adopt the corridor plan as part of the master plan. It’s one of the few issues on which the planning commission does not act just as an advisory body that makes recommendations to the council. For the master plan, the council and the planning commission must adopt the same plan. The postponement came in deference to a request from Marcia Higgins (Ward 4). The area of the study lies in Ward 4, which she represents. Despite the postponement, the South State Street corridor plan still had an impact on a decision made by the council – to deny a rezoning request for the parcel at 2271 S. State St. The change in zoning would have allowed the parcel to be used for car sales. That use isn’t consistent with the recommendations in the corridor plan, and the planning commission had recommended against rezoning on that basis. Even though it was just the initial vote on the rezoning – an occasion when councilmembers sometimes will advance an ordinance change to a second reading in order to allow a public hearing to take place – the rezoning request got no support on the council. In contrast, the initial rezoning requested for the Kerrytown Place project – an 18-unit townhouse development at the location of the former Greek Orthodox church on North Main Street – received unanimous approval at the council’s July 1 meeting. Also related to land use, the council reconstituted a 12-member citizens advisory committee to study the R4C zoning area. The re-establishment of the group, which was originally appointed in 2009, comes after the planning commission had voted at its April 16, 2013 meeting to send recommendations to the city council for revisions to the R4C zoning areas. The recommended revisions were not the actual ordinance language. That language would need to be written after councilmembers sign off on the general recommendations. No action is expected by the council until the committee has met two or three times. Another committee reconstituted by the council on July 1 was a group to sort through some contentious issues between the council and the Ann Arbor Downtown Development Authority. The council has postponed until Sept. 3 a final decision on a change to Chapter 7 of the city code, which regulates the DDA’s tax increment finance (TIF) capture. The four councilmembers on the committee are: Christopher Taylor (Ward 3), Stephen Kunselman (Ward 3), Sally Petersen (Ward 2) and Jane Lumm (Ward 2). Two days later, at its regular monthly meeting, the DDA’s complement was appointed: Roger Hewitt, Bob Guenzel, Joan Lowenstein and Sandi Smith. A proposed video privacy ordinance that was on the council’s July 1 agenda did not win sufficient support to advance to a second reading. The proposal would have regulated the way that public surveillance cameras could be used by local law enforcement officials. Although the vote was 5-4 in favor, that fell short of the six-vote majority it needed on the 11-member body. So the council voted down the video privacy ordinance on its initial consideration – having postponed the issue several times previously. The council also decided to delay adoption of amendments to its own internal rules – out of deference to two councilmembers who were absent from the meeting: Sally Petersen (Ward 2) and Margie Teall (Ward 4). Highlights of the rule changes include the addition of a public commentary opportunity at council work sessions, and reduction in the time per turn for the public from three to two minutes. A change in councilmember speaking times equates to a reduction from eight minutes to five minutes total per item for each councilmember. The council handled a number of other items during the meeting, including the adoption of the 2009 International Fire Code, a location change for the Ward 2 Precinct 8 polling place, approval of a special assessment to help pay for sidewalk and curb improvements along Miller Avenue, and confirmation of appointments to boards and commissions. The impetus behind the proposed change is several “cross-lot paths” that exist in the city, where it’s somewhat unclear who owns the land or who’s responsible for repair and winter snow clearing. If the council changes the ordinance and it also accepts the “cross-lot” paths for public use – through a formal resolution – the impact of the “sidewalk” definition change would be twofold. First, it would make the paths eligible to be repaired by the city using sidewalk millage funds. But it would also make adjoining property owners responsible for winter snow clearing. Also on the agenda was a resolution accepting 33 cross-lot paths for public use. The council had given initial approval to the definition change at its June 3, 2013 meeting. Sherif Afifi introduced himself as the owner of a parcel adjacent to one of the cross-lot paths. He summarized how he sees the issue: The paths are used by a limited number of people [not necessarily the property owners] to provide convenience for them. Transferring financial and legal responsibility to a limited number of people [property owners] for the benefit of others didn’t seem fair to him. An additional problem Afifi identified was the fact that the responsibility would be shared by at least two people [the properties on either side of the cross-lot path.] He asked the council to postpone a vote, to allow further study and input from the public, including people who use the paths. He’d sent a detailed memo to some councilmembers. He felt that if “we could get our minds together” it would be possible to come up with something that everyone would be happy with. He offered to provide as much help as he could. John Ohanian approached the podium using a wheelchair. He wanted to talk about a letter from the city that says he’s responsible for maintenance of the walkway from Frederick and Middleton drives into Greenbrier Park. This cross-lot path was described by John Ohanian as one that he’d become responsible for shoveling if the city adopted the change in the definition of sidewalk. He’d talked to city engineer Deborah Gosselin about that property and stressed to her that he doesn’t own that property. Every year for 47 years the city has cut the grass on either side of the walkway and maintained it, he said. Now the city is asking him to take responsibility for the liability. He described how the property has a timber wall on the edge of it and the kids like to play on it, by walking across the top of it pretending they’re the “Wallendas.” He can’t stop them, he said, and if they ever fall, then he’d be responsible, which he didn’t think was right. Ohanian also pointed out that the walkway is not for a general good, but for a specific purpose: the entrance to a parkway. It’s been maintained by the city of Ann Arbor for 47 years. And what the city is trying to do now is shift the liability to him by calling it a “sidewalk” when it’s not a sidewalk, he said. The city can’t impose an insurance liability on him for property he doesn’t own, he added. He’d heard from the city staff that the city also doesn’t own the property. With respect to the ability of the city to use sidewalk millage funds for capital repair, he pointed out that the millage is for five years at a time. That meant that he’d have responsibility for the repair of the walkway depending on the passage or non-passage of the millage by voters. If the city was going to transfer the responsibility and liability to him, then the city should transfer the land to him in a favorable way. Miranda Wellborn Eleazar introduced herself as the owner, with her husband, of a property adjacent to a pathway to Mitchell Elementary School and Scarlett Middle School. This is the cross-lot path that the Eleazars would become responsible for shoveling, if the change to the definition of sidewalk is adopted. She described the pathway as well-used by many people, at all hours. But she objected to the idea that she’ll be made liable for maintenance. There’s no reason for her and her husband to take over maintenance, given that the school district is currently maintaining it, she said. She understood that the current sidewalk repair millage would cover the capital repair of the pathway through 2017, but she wondered what would happen if the millage were not renewed. The ordinance amendment that changes the definition of a sidewalk is just the easy way to go, she said. She suggested that in situations where there is someone already maintaining and snowplowing the path, that person or entity should be made responsible. She would not be able to shovel all the snow, she said. Jeff Hayner wondered how a request for a sidewalk ordinance change comes about. He pointed out that there are another 28 paths – beyond the 33 cross-lot paths – described in the staff memo. So the council would only be acting on half of the paths. He encouraged the council to postpone action. Thomas Partridge advocated for fairness and rejected the use of Republican Tea Party tactics in determining fees. Many residents of the county and the state are being driven out of their homes due to the unfairness of flat-rate taxes and fees, he contended, including sidewalk repair assessments. 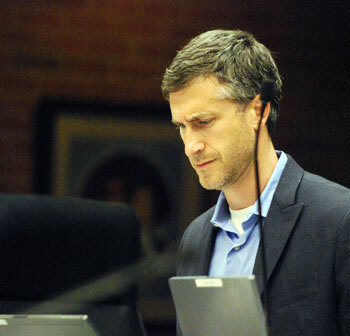 Stephen Kunselman (Ward 3) led off deliberations by saying that he’d vote against the change. It’s not a fair way to approach the topic, he contended. Picking up on the remarks of John Ohanian made during the public hearing, Kunselman said the city has been maintaining a path for 47 years, and he wondered why it would stop. If a school is currently maintaining a path, then arrangements should be made to continue that. So he’d vote against the change in the definition. Sabra Briere (Ward 1), who sponsored the ordinance change, asked assistant city attorney Abigail Elias and public services area administrator Craig Hupy to the podium. Briere said that in her own research, she’d learned it wasn’t clear who owns the property. Elias indicated that the language is different in each of the plats. Responding to Briere, Elias didn’t answer the question of whether the ordinance change would give the city an easement or title to the land. Rather, Elias indicated the ordinance would give “access.” Elias said she had not looked at the issue of who owns the property. 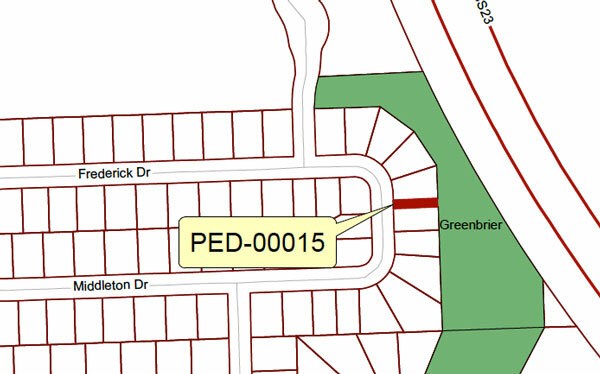 Responding to a question from Briere, Hupy confirmed that if the ordinance doesn’t go forward with the change in the definition to “sidewalk,” then the city doesn’t believe it can use sidewalk millage money to repair the cross-lot paths. Briere asked Hupy if the city thinks it’s appropriate to place the burden for winter maintenance on adjacent property owners. Hupy responded in part by saying the school district is not interested in making the capital improvements – so the city was attempting to find a way to pay for that. Later during the deliberations Hupy ventured that schools might be reluctant to undertake capital repairs because they’re barred by state law from making investments on property they don’t own. Some of the winter maintenance that the school district is doing, he said, is actually done out of convenience to the district staff – to find a good place to turn around, for example. The burden of winter maintenance, Hupy said, is the “collateral damage” associated with the city’s use of sidewalk millage funds for the capital repairs. Briere indicated that she had a problem with the redefinition of who’s responsible for the winter maintenance. Marcia Higgins (Ward 4) ventured that these paths could somehow be defined as a subset of “sidewalks.” She floated the idea of postponing the ordinance change. Chuck Warpehoski (Ward 5) observed that many councilmembers have a desire to use the sidewalk millage to repair the paths. But he pointed out there’s another problem as well – that non-motorized connections have actually been lost because there’s not a mechanism for accepting them for public use. He was inclined to support the ordinance change, because it puts a mechanism in place to accept a path into public use. But that doesn’t mean that the council has to accept all 33 of the paths for public use. It might be a much smaller set, Warpehoski said. Jane Lumm (Ward 2) noted that not all 33 paths were found to be in current need of repair. Hupy indicated that last year there were four paths in dire need of repair that were not repaired, because they were not accepted for public use. Lumm didn’t like the “no-man’s land” aspect of the situation. She saw it as a positive that the millage funds could be used. But the burden on property owners of winter maintenance is a problem, she said. Lumm indicated agreement with John Ohanian, who spoke during the public hearing to argue that if there’s to be a transfer of responsibility for the maintenance, then the land transfer should be done in a way that’s “favorable” to the property owner. Lumm elicited from Elias the fact that under some circumstances, an owner of property adjoining a path could be required to mow grass in the summer too, as well as clear snow in the winter. Mike Anglin (Ward 5) said that the 33 paths should be looked at individually and judged on an individual basis. After summarizing the situation, Christopher Taylor (Ward 3) followed up on a possibility raised by Higgins: Can the city find a way to use the sidewalk millage without causing the burden of day-to-day upkeep to shift? Elias traced the issue to the definition of “sidewalk.” So Taylor floated the idea of tabling or delaying in some other way. Lumm moved to postpone the vote until the first meeting in October, which is Oct. 7. Warpehoski asked how a postponement would affect the pathways that are in dire need of repair. Hupy indicated the postponement would mean they wouldn’t get repaired this year. 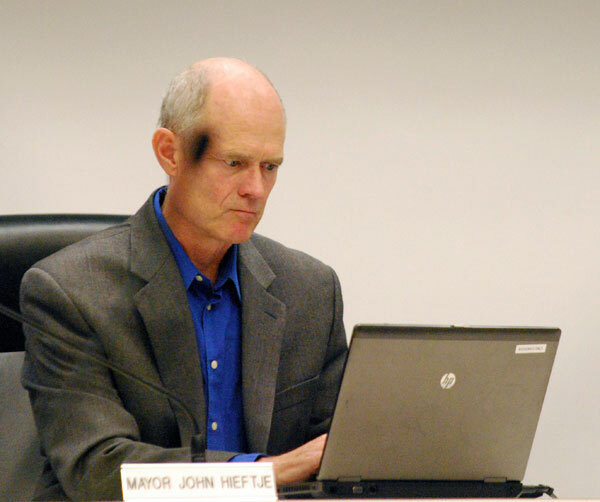 Mayor John Hieftje ventured that if the city has muddled along all this time, three months wouldn’t hurt. Kunselman mooted the idea of not using sidewalk millage funds to do the repair of those walkways in dire need of repair. He gave an example of a path that was repaired with park maintenance millage funds. Kunselman suggested that it might be necessary to research the history of the platting, saying that if the city asked for the public paths in the first place, then the city should maintain them. Outcome: The council voted unanimously to postpone the change in the definition of sidewalks until Oct. 7. Later in the meeting, the council also voted to postpone the acceptance of the 33 sidewalks for public use until its first meeting in October. The council was asked to consider the adoption of the South State Street corridor plan into Ann Arbor’s master plan. The city planning commission had voted unanimously to adopt the plan at its May 21, 2013 meeting. More commonly when the planning commission votes on a matter, it’s to recommend action by the city council. For master plans, however, the planning commission is on equal footing with the council: both groups must adopt the same plan. Recommendations in the South State Street corridor plan are organized into categories of the city’s recently adopted sustainability framework: Land use and access, community, climate and energy, and resource management. Among the recommendations are: (1) Evaluate use of vacant parcels for alternative energy generation; (2) Evaluate integrating public art along the corridor; (3) Evaluate use of open land for community gardens; (4) Assess and improve high crash areas along the corridor; (5) create boulevard on State Street between Eisenhower and I‐94 to enable safer automobile, bicycle, and pedestrian movement; (6) Consider utilizing vacant parcels for athletic fields and recreation facilities; (7) Develop a pedestrian and bicycle path along the Ann Arbor railroad that will connect the planned Allen Creek bikeway to Pittsfield Township through the corridor; and (8) Resurface roads in the corridor. Each recommendation includes several related action items. The plan also provides a section that organizes the recommendations into each of three distinct sections of the corridor: (1) from Stimson on the north to Eisenhower Parkway; (2) from Eisenhower south to the I-94 interchange; and (3) from I-94 to Ellsworth. In addition, there are nine site-specific recommendations for areas including Briarwood Mall, the complex of hotels near Victors Way and Broadway, and the research park development near the corridor’s south end. 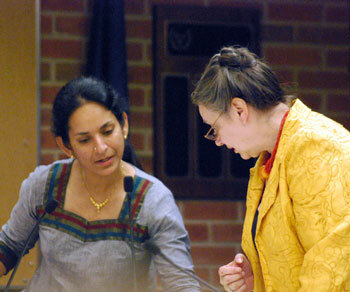 From left: Ward 1 councilmembers Sumi Kailasapathy and Sabra Briere. Sabra Briere (Ward 1), the council’s appointee to the planning commission, introduced the proposal. She said that the South State Street corridor plan was being treated as a model – because it links the recommendations to the sustainability framework that the council had adopted. She described it as very rigorous and helpful for understanding why the recommendations are what they are. The question for the council was whether to add the document to the city’s master plan. The planning commission had been impressed with the work, Briere said, as had been the environmental commission. The North Main Huron River corridor study task force had also positively reviewed the way the corridor plan had been done. So she encouraged councilmembers to include the South State Street corridor plan in the city’s master plan. So Higgins asked for a postponement for two weeks. 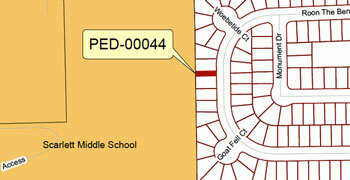 Outcome: The council voted to postpone the South State Street corridor plan until July 15, 2013. On the July 1 agenda was a rezoning request for 2271 S. State St. that would have allowed the owner to sell cars on the parcel. The council was asked to give initial approval to rezoning the parcel from M1 (limited industrial district) to M1A (limited light industrial district). The city planning commission vote on the recommendation was taken at its May 21, 2013 meeting. That vote came out 1-8, with only Eric Mahler supporting it. So the planning commission’s recommendation was for denial. Local attorney Scott Munzel addressed the council during the public hearing on the South State Street corridor plan – because the rezoning itself was only up for initial consideration and did not include a public hearing. Munzel was representing the property owner of 2271 S. State St. Munzel pointed out that the proposed rezoning was consistent with the master plan, before the South State Street corridor plan was put forward. He asked the council to remember that when the council considered the rezoning request. Sabra Briere (Ward 1) pointed out that the council in the past has put off rezoning decisions based on the pending work on the South State Street corridor plan. Marcia Higgins (Ward 4) ventured that the city council has the final say on the South State Street corridor plan – to which Rampson replied, “kinda sorta.” The planning commission and the city council have to concur, Rampson noted. Higgins felt like the property owner had been in the pipeline for a while before the South State Street corridor study was under way. Rampson and Higgins engaged in back-and-forth on timing of the citizen participation meetings for the corridor plan and the proposed project’s requiring rezoning. Stephen Kunselman (Ward 3) drew out the fact that McKinley Inc. had written a letter of support for the corridor plan. 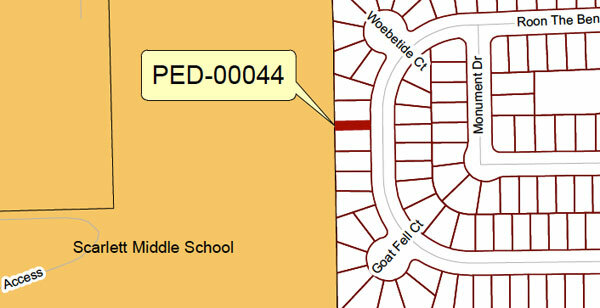 Kunselman also noted that the adjoining school bus parking lot might not be a factor – as the school district might decide not to continue to offer transportation in the future. Kunselman wondered if it’s good policy to get rid of manufacturing zoning. Rampson explained that the planning commission had also grappled with that question. She pointed to Area 1C in the plan that recommends maintaining the current uses, which include manufacturing. The area around the parcel that’s requested to be rezoned, Rampson said, has already seen some transition to office use. Outcome: The council voted unanimously to deny initial approval to the rezoning of 2271 S. State Street. The council was asked to give initial approval to the rezoning that’s necessary to construct Kerrytown Place – a proposed development at 414 N. Main and 401 N. Fourth Ave.
Kerrytown Place is a project that Tom Fitzsimmons is planning to build on the site of the former Greek Orthodox church on Main Street. The rezoning would be from PUD (planned unit development district) to D2 (downtown interface base district). The 18-unit townhouse development that Fitzsimmons is planning to build is much smaller than The Gallery, for which the PUD zoning had originally been approved at the request of a different owner. The city planning commission gave a unanimous recommendation of approval at its May 21, 2013 meeting. On the North Main Street side, the project would include a 16-unit townhouse building with an underground parking garage, 12 carport parking spaces and 24 surface parking spaces. On the North Fourth site – now a surface parking lot – the plan calls for constructing a duplex with a 2-car garage for each unit and a 21-space parking lot. Each unit of the duplex would face North Fourth. Outcome: The council voted unanimously to give initial approval to the rezoning changes necessary for the Kerrytown Place project. Rezoning requests require a second and final vote – at a meeting when the site plan is likely to be presented as well. The council considered a resolution to re-establish a citizens advisory committee to provide input on changes in the city’s R4C (multi-family) zoning category. The idea for re-establishing the group comes after the planning commission had voted at its April 16, 2013 meeting to send recommendations to the city council for revisions to the R4C zoning areas – but without the actual wording of the ordinance changes. Parking requirements are less stringent: Recommendations adopted by the planning commission are to make parking requirements less stringent than either the existing requirement of 1.5 spaces per unit or the advisory committee recommendations (1.5 spaces per unit for 0-4 bedroom units, and 2 spaces per unit for 5-6 bedrooms). The planning commission recommendation is for 1 space per unit for 0-4 bedrooms, and 1.5 spaces per unit for 5-6 bedrooms. Based on discussions among staff and the ORC at several meetings attended by The Chronicle, these first-phase recommendations are seen as somewhat easier to implement, because it’s felt there’s general consensus on them. A second phase would focus on creating a “group housing” zoning district, but that is recognized as controversial. Any affirmative action by the council on the planning commission’s recommendations at this point would be to direct the planning commission to develop the ordinance language reflecting the recommendations. At that point, the planning commission would need to approve the proposed ordinance language, with final action still required by the council. Membership on the reconstituted citizens advisory committee that the council was asked to consider included 12 people. Sabra Briere (Ward 1) will represent the planning commission. Chuck Carver will represent rental property owners. From the wards: Ilene Tyler and Ray Detter (Ward 1); Wendy Carman and Carl Luckenbach (Ward 2); Ellen Rambo and Michelle Derr (Ward 3); Julie Weatherbee and Nancy Leff (Ward 4); Eppie Potts and Anya Dale (Ward 5). Weatherbee was designated as chair of the group. Marcia Higgins (Ward 4) introduced the resolution, alluding to a neighborhood meeting that had taken place the previous week – in Rose White Park. The issue of the recommendations that are coming to the council was discussed. Jane Lumm (Ward 2) thanked Higgins for her work. Lumm wondered when the council might be asked to act on the recommendations. Higgins indicated that the committee would meet only two or three times. But she said that before the council acts on the planning commission recommendations, the committee should be able to weigh in. Outcome: The council voted unanimously to re-establish the R4C citizens advisory committee. The council was asked to give initial approval to a proposed new local law regulating the use of public surveillance cameras. The ordinance would not apply to a range of other city of Ann Arbor cameras, for example: cameras used to improve traffic design, security cameras operating in jails, prisons, water treatment facilities, public housing facilities, or the Ann Arbor Airport and other governmental facilities. The new ordinance would allow for public surveillance cameras to be installed for 15 days or less at the discretion of the city administrator if the purpose were to address a specific criminal problem. But a period of longer than 15 days would have required two-thirds of nearby residents to give written permission. Regardless of the period of the installation, onsite notice of the camera’s presence was to have been required. The council had voted several times previously to postpone consideration of the ordinance. The most recent postponement had come at the council’s June 17, 2013 meeting. The council seemed willing to postpone a vote on that occasion based on the fact that police chief John Seto was not available to answer questions about the impact on law enforcement activities. Some councilmembers indicated at that meeting a reluctance even to give the ordinance an initial approval. Ordinances require an initial approval followed by a second vote taken at a subsequent meeting, after a public hearing. During public commentary, several people addressed the council on the topic of the video privacy ordinance. Will Leaf rejected the idea that the ordinance would tie the hands of the police. [His involvement with the topic dates back several years. He led Students Against Surveillance at the University of Michigan.] Leaf cited news media articles on the topic. They included a June 19, 2013 LA Times article about Muslims suing the New York City Police Department over surveillance of congregants at mosques that has included video surveillance. Leaf also cited an Oct. 25, 2010 article in The Guardian about the dismantling of video surveillance cameras in Birmingham, England, and a Jan. 13, 2006 BBC News article about CCTV camera operators who pointed cameras into a woman’s apartment and observed her in a state of undress. Leaf said that if public surveillance cameras are installed, then they should be regulated. He pointed out that the ordinance wouldn’t affect any cameras currently in place. He got a round of applause from the roughly two dozen people attended the council meeting in support of the ordinance. Leslie Stambaugh, who’s chair of the city’s human rights commission, agreed with Leaf. She pointed out that the ordinance originated with a citizens group. She posed the rhetorical question: Why can’t we just trust the police only to adopt this practice when they need it? It seems modern and effective, she allowed, but video surveillance hasn’t been shown to reduce or solve crime, she contended. For nuisance crimes, she allowed it might have some benefit. The city of Lansing had installed 11 cameras, which wound up costing $2.3 million , she said. The Ann Arbor human rights commission doesn’t like video surveillance, she said, and the ACLU doesn’t like it. If the city wants to use video cameras for surveillance, it needs to be regulated, she concluded. Kent Weichmann weighed in to support the video privacy ordinance. Michael Benson weighed in briefly against it at the conclusion of his remarks during public commentary. Police chief John Seto addressed the council from the podium to start the discussion on the ordinance. 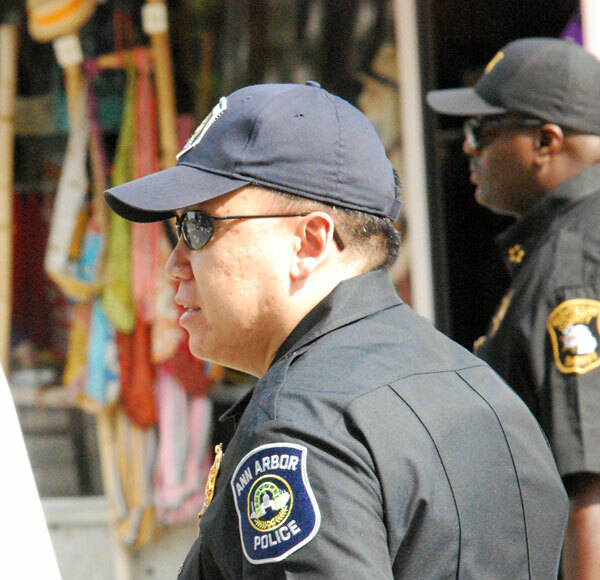 Ann Arbor chief of police John Seto marched in the 4th of July parade held three days after the council meeting. In the background of the photo is Washtenaw County sheriff Jerry Clayton. He had reviewed many versions of the ordinance, and he thanked everyone for their work. He noted that the ordinance has been under discussion for several years. By way of additional background, the council had been alerted to the forthcoming ordinance proposal six months ago when Chuck Warpehoski (Ward 5) told his colleagues at their Dec. 17, 2012 meeting that he and wardmate Mike Anglin would be bringing a proposal forward. And before that, former Ward 1 councilmember Sandi Smith had announced at a council meeting on Aug. 4, 2011 that she’d be bringing a video surveillance ordinance for consideration at the council’s Sept. 6, 2011 meeting. That draft ordinance never came forward for consideration. And a year before that, Smith had indicated the city’s human rights commission would be working on the issue. Seto said he was sorry that he was not able to attend the previous council meeting, when the council had the item on its agenda. The council had postponed the item so that he could be available to answer questions. Seto said he’d start with a general statement. As chief, Seto said, his responsibility is to provide service and protection for all. He recognized that responsibility had to be balanced between what can be done and what should be done – specifically in the area of technology. He would not deploy technology or implement a policing practice that would have negative implications on community relations or community engagement. Determining that balance is a challenge. Seto stressed that it’s difficult to determine the appropriate balance, when the kind of video surveillance that’s contemplated by the ordinance is not being done in the city. He could not predict the security concerns and policing needs of the future. Large crowds themselves create an added risk. Annotation of draft ordinance, in which police chief John Seto notes that large crowds pose a possibly increase risk. He gave some examples of some concerns he has about the ordinance in its current form. He believed that large crowds in themselves create a threat, or at the very least, a heightened security risk that the police must address. In light of the recent Boston marathon bombing, Seto said – and in light of the added security concerns that he’d considered subsequently in connection with the Ann Arbor marathon – he couldn’t support an ordinance that would potentially limit his ability to monitor large crowds like those associated with a marathon or University of Michigan football games, or street closures that result in large crowds. He also felt that short-term use of cameras could be potentially useful for apprehending suspects involved in a specific crime, when there’s credible information. He appreciated the fact that the ordinance provided for the short-term use of cameras without requiring permission from neighbors. However, he felt that the requirement that a notice be posted to alert people to the presence of a camera could hinder an investigation. The ability to use live monitoring only when there’s an imminent risk would be limiting, he said. His main concern, Seto said, is that he does not know what kind of unknown impacts such an ordinance might have. Because he can’t know the policing needs of the future, there could be unintended consequences, he said. His main two concerns were about large crowds and specific short-term criminal investigations, he said. He also highlighted a concern with the definition of the cameras that would fall under the ordinance. Mike Anglin (Ward 5) asked Seto if he saw the ordinance as limiting compared to what’s been done in the past. Seto couldn’t recall a case where an unmanned camera had been used and simply been mounted on a pole. One exception was a case when AAPD had worked in cooperation with a property owner, Seto said, and the camera was installed on the property. The possibility of using cameras had been discussed, but Seto did not believe cameras had been used in such a manner since he had assumed a leadership role in the department. Stephen Kunselman (Ward 3) asked if Seto was familiar with the West Willow neighborhood in Ypsilanti Township. Kunselman ventured that his own impression from media accounts was that the neighborhood had requested installation of cameras and that crime had been deterred through the use of cameras. Seto wasn’t able to confirm Kunselman’s impression in any detail. Chuck Warpehoski (Ward 5) ventured that former police chief Barnett Jones felt that video surveillance installations would never be accepted in Ann Arbor by the community. He asked if Seto felt that the ordinance would give Seto the regulatory framework that would allow those community concerns to be addressed. Seto said he couldn’t speak to Jones’ concerns. He reviewed the main concerns he had about the ordinance potentially inhibiting effective law enforcement. He also ventured that it’s possible that times have somewhat changed, in the few years that the ordinance has been under discussion. Sabra Briere (Ward 1) indicated that one of her concerns about crowd surveillance was that almost all of the footage that was useful in the Boston marathon bombing had been from private cameras. It wasn’t police surveillance. As a general statement, “police surveillance” gave her pause. She appreciated that the human rights commission, Warpehoski and Anglin had tried to find a balance – between not giving police general permission, but allowing the police to pursue a discrete goal. But she wondered if the balance had actually been found. Seto responded to Briere by saying that he’s not advocating the use of cameras, but felt that if the need does arise, he wants to make sure that he has flexibility. Kunselman referred to the comments made during the public commentary about the possibility of police misconduct by personnel in the use of cameras. Seto responded to Kunselman by indicating that the in-car video cameras already used by officers are subject to departmental policies. Hieftje also cited the issue of the perception of safety – saying that some people say they’d feel more comfortable in an underground parking garage if there were video surveillance. Hieftje noted that in 2001-02 there had been problems in Liberty Plaza, and the city had filmed from the building overlooking the park. Those cameras were hand-held, Hieftje allowed. But he wanted to know if Seto felt that the ordinance would inhibit the police department’s ability to undertake necessary operations. 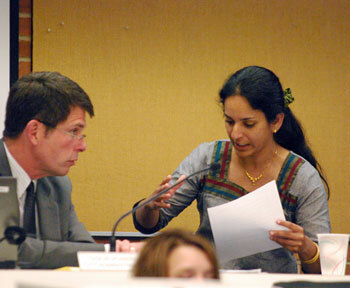 City administrator Steve Powers and Sumi Kailasapathy (Ward 1). Sumi Kailasapathy (Ward 1) wondered if the required sign stating the presence of a camera would undermine the point of the surveillance. For short-term use, Seto said, the sign could potentially have a negative impact. Jane Lumm (Ward 2) discussed with Seto the requirements for installing cameras. She recounted how all the windows of her car had been smashed in the Fourth & Washington parking structure, but there were no cameras in place to capture any footage. Christopher Taylor (Ward 3) described the ordinance as possibly “a regulation too far.” But he noted that the police chief’s job description was similar to the council’s job: Law enforcement should be consistent with community values. So Taylor felt it should be voted forward to a second reading, which would provide an opportunity for a public hearing. Kailasapathy ventured that the FBI would not have to adhere to the local ordinance, if the FBI wanted to conduct surveillance. Seto indicated that he thought this observation was correct. Marcia Higgins (Ward 4) brought up the issue of University of Michigan football games, saying she thought that crowds are currently monitored for football games. Seto indicated that on a liberal interpretation, the ordinance might have an impact on his ability to use cameras for football crowd monitoring. But UM would be able to use cameras independently of the city ordinance, Seto said. Kunselman inquired what the law is when a camera catches someone doing something illegal on their own property. He wondered if someone has a reasonable expectation of privacy. City attorney Stephen Postema responded to Kunselman by saying he had not researched the issue. Higgins ventured that if the city has been working on the ordinance for a long time, then surely the city has an understanding of what privacy in a home means. Kailasapathy followed up on the privacy issue by asking if it’s OK for a camera to be trained on a front door to monitor who is entering and leaving a residence. Postema responded by saying it depends on what is done with the footage. Briere adduced the example of Google Street View and how it blurs images of people’s faces. Briere agreed with Taylor that she was willing to support the ordinance so there should be a further discussion in the community. Passive surveillance can be used well or not well, Briere said, adding that she wished it weren’t used at all. Warpehoski described placing a camera on a pole and pointing it into a neighborhood as an affront to privacy. The ordinance would prevent that affront, he said. The ordinance tries to find a balance between privacy, property owner rights and law enforcement needs, Warpehoski contended. He didn’t want cameras to be deployed over neighborhood opposition. Warpehoski says he put forward the best ordinance he knew how to put forward – but allowed that there were still things that could be worked on. He asked for support of the ordinance at first reading, but told his council colleagues not to vote for it on first reading just to please him – if they were definitely not going to vote for it on second reading. Anglin described the ordinance as “preemptive,” so that the questions surrounding the use of cameras could be answered before they are used. The ordinance allows cameras to be installed as useful tools, he said. He gave destruction of property in parks as a use case for the cameras. He did not think it’s a solution looking for a problem – a response to remarks from Kunselman at an earlier meeting. Kunselman described how the relationship between the police and young people has changed from the time when he was young. He returned to his idea of giving guidance through policy, instead of through enactment of an ordinance. Jane Lumm (Ward 2) is waving hello on arrival at the meeting. Lumm stated that the ordinance is overly regulatory. The balanced approach that Seto would take would not result in the application of technology that would harm the community, Lumm contended. She said she wouldn’t support such an ordinance unless it had Seto’s unequivocal support. So Lumm wouldn’t support it at first reading. Briere said generally she’s inclined to advance an ordinance to a second reading. But she didn’t like the ordinance, because she saw it as giving permission for surveillance. She distinguished between speculative surveillance versus a situation where there’s a targeted deployment. But she was still inclined to hear from the public. That would help the council make a better decision on the issue, she concluded. Hieftje said he likes the idea of policy guidance – alluding to Kunselman’s proposal that policy guidance would be better than an ordinance. Hieftje noted that Ann Arbor is host to events that have the spotlight of the nation on the city. He couldn’t say he’d support the ordinance at second reading, but he was willing to support it at first reading. Outcome: The council voted 5-4 to give the video privacy ordinance initial approval, so it failed. Voting against it were Sumi Kailasapathy (Ward 1), Jane Lumm (Ward 2), Stephen Kunselman (Ward 3) and Marcia Higgins (Ward 4). The council was asked to establish a committee to sort through issues between the city and the Ann Arbor Downtown Development Authority. Named in the original resolution to represent the council were: Christopher Taylor (Ward 3), Sally Petersen (Ward 2), and Stephen Kunselman (Ward 3). Jane Lumm (Ward 2) was added to the group during the council’s meeting. The current source of friction between the DDA and the city concerns the interpretation of Chapter 7 of the city code, which regulates the DDA’s tax increment finance (TIF) capture. The DDA has chosen to interpret the Chapter 7 language in a way that does not recognize the cap on TIF revenues that is set forth in Chapter 7. That led to a proposal by some councilmembers earlier this year to revise the ordinance so that the DDA’s alternate interpretation is clearly ruled out. The council gave the ordinance change initial approval on April 1, 2013. But later, on May 6, 2013, the council chose to postpone the vote until Sept. 3, the council’s first meeting that month. 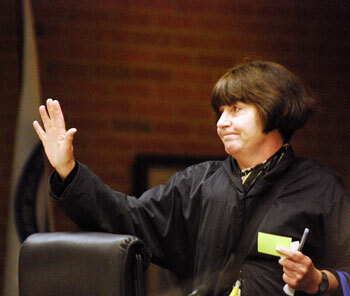 The phrase “mutually beneficial” in connection with the sorting out of issues between the city of Ann Arbor and the Ann Arbor DDA was first mooted in a Jan. 20, 2009 city council resolution. The main issue at that time was the contract under which the DDA administers the city’s public parking system. Subsequently, committees for both organizations were appointed, but they did not achieve any results. The following year, new “mutually beneficial” committees were appointed and those committees met over the course of several months, culminating in a new parking agreement ratified in May 2011. The council formally disbanded its “mutually beneficial” committee at the end of 2011. Sabra Briere (Ward 1) introduced the item on July 1 by saying that in May, several people had indicated that the city staff and the DDA staff should be working on the issue. But whatever changes might be made to Chapter 7, she felt councilmembers should have a voice. The mechanism for that was proposed to be to “reinvigorate” the “mutual beneficial” committee. Stephen Kunselman (Ward 3) said that when the council approved the ordinance at first reading, he and Sally Petersen (Ward 2) had begun having conversations with DDA board members and staff. He saw the resolution that as solidifying a process that was already underway. Marcia Higgins (Ward 4) wanted to add a member – for a total of four councilmembers. Higgins wanted Jane Lumm (Ward 2) to be on the committee, saying that Lumm has put a lot of work into the issue. That proposal was accepted as friendly. Sumi Kailasapathy (Ward 1) briefly floated the idea that the existing DDA partnerships committee might be involved. Outcome: The council voted unanimously to appoint a joint DDA-council committee, with members Lumm, Taylor, Kunselman and Petersen. Two days later the DDA appointed its members: Roger Hewitt, Sandi Smith, Bob Guenzel, and Joan Lowenstein. The council considered a revision to rules on speaking times and agenda setting for city council meetings. Highlights of the proposed rules changes include adding public commentary to council work sessions. But public speaking time would be reduced from three minutes to two minutes across all types of public speaking – general commentary, public hearings, and reserved time. A “frequent flyer” rule would prevent people from signing up for reserved time at the start of a meeting two meetings in a row. Marcia Higgins (Ward 4). 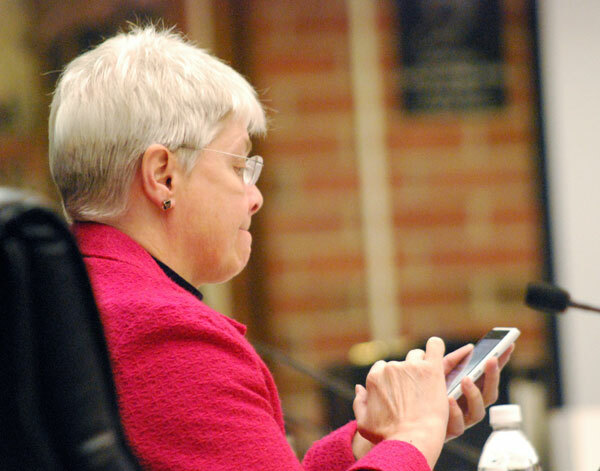 The proposed new council rules include a provision against councilmembers using their personal electronic communications devices during the meetings while at the table. This photo was taken before the meeting started. The total time that each councilmember could speak on an item of debate would be reduced from eight minutes to five minutes. In more detail, the two turns they get per item would be reduced from five to three minutes and from three to two minutes. 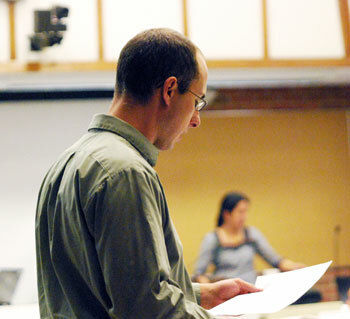 James D’Amour told the council that some of the changes to the rules are pretty good. [As former city planning commissioner, D'Amour has some experience with public commentary from the other side of the microphone.] The addition of a public commentary period during work sessions is a good step, he said. But the time reductions are a step backward, he contended. If hundreds of people show up to speak, then the council has done something wrong, he said. The game that councilmembers need to play is to be more accessible, not less accessible. Thomas Partridge reminded the council that he has run for election to the state legislature in the past. He accused mayor John Hieftje of seeking to suppress public access to the council. Instead of diminishing public participation time, it should be increased, Partridge said. Michael Benson pointed out that if he had a handout for the clerk, that would be attached to the minutes. So he encouraged the council to advertise that fact as a way to mitigate against reduced speaking time. Benson also suggested that the council pay attention to their own question time that they use during their deliberations. [Hieftje does not count time that councilmembers spend questioning staff as speaking time for councilmembers.] Benson cited a possible problem for organizing the public speaking reserved time at the start of a meeting: A single agenda item could dominate all the slots. Marcia Higgins (Ward 4) said she wanted to postpone the issue, in light of the absence of Sally Petersen (Ward 2) and Margie Teall (Ward 4), who wanted to be part of the conversation. Higgins chairs the council’s rules committee, which brought the amendments forward. Outcome: The council voted unanimously to postpone the rule amendments until the July 15 meeting. The council was asked to take final action on the adoption of the 2009 International Fire Code, as an amendment to Chapter 111 (Fire Prevention) of the city code. The council had given the ordinance change initial approval at its June 17, 2013 meeting. While the change is essentially administrative – changing the version of the International Fire Code adopted in the ordinance from 2003 to a more recent 2009 – some councilmembers on June 17 indicated an interest in exploring the question of frequency of fire inspections. They’ve heard complaints that fire inspections are being conducted too frequently – as a way to generate revenue. On June 17, fire chief Chuck Hubbard indicated that some of the confusion could be attributed to re-inspections, which are done when a deficiency is found. But Hubbard indicated on June 17 that fire inspections have increased. He’s increased the number of personnel assigned to fire inspections from three to seven. During the public hearing on the issue, Thomas Partridge said that councilmembers and the mayor are out of touch. He says that the councilmembers who sponsored the ordinance change should explain it in their own words. He contended that the city looks for ways to impose costs on those who can least afford it. Earlier in the meeting during communications time, city administrator Steve Powers had indicated that staff were available to answer questions about why the ordinance change adopting the 2009 International Fire Code was necessary. It was portrayed as a separate question from the inspection issue that councilmembers had previously expressed concern about. Powers described how there would be a meeting for property owners and the public about fire safety inspections – on July 16, at 1 p.m. in city council chambers. Deliberations by the council were scant. Jane Lumm (Ward 2) thanked staff for their work in responding to questions. Outcome: The council voted unanimously to adopt the 2009 International Fire Code. The council was asked to take the final step in approving a special assessment on property owners to finance sidewalk and gutter improvements along Miller Avenue. The assessment would apply to 18 private property owners, who would pay an average of $365 apiece. The total construction cost of the project is stated in the table of assessment as $42,860 – with about 75% of that to be paid for with federal funds. The resolution approved by the council was the fourth and final one in the process. A public hearing had been held at the council’s previous meeting. Outcome: The council voted to approve the special assessment for Miller Avenue improvements. The council considered a resolution that changed location of the polling place in Ann Arbor’s Ward 2 Precinct 8 (2-8) to the First United Methodist Church at 1001 Green Road. The location for several years has been St. Paul Lutheran School. During the brief deliberations, Jane Lumm (Ward 2) thanked St. Paul for allowing the city to use the facility as a polling location for many years. Outcome: The council voted unanimously to change the Precinct 2-8 polling location to the First United Methodist Church. The council was asked to confirm the appointment of Jeremy Peters to the city planning commission. Peters works in creative licensing and business affairs with Ghostly Songs. 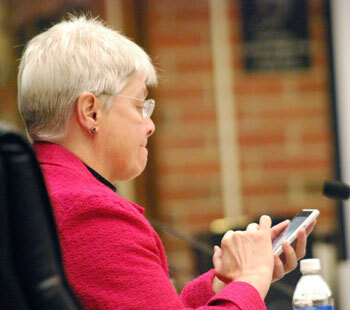 Peters had been nominated at the council’s June 17 meeting. Tony Derezinski had originally been slated at the June 3 meeting to be nominated for re-appointment, but his name was never put forward by mayor John Hieftje. The council was also asked to confirm the appointments of Eric Jacobson to the local development finance authority (LDFA) board and Jan Davies McDermott to the economic development corporation board. Outcome: The council voted to confirm all the appointments. Also at the council’s July 1 meeting, Hieftje nominated Russ Collins for re-appointment to the board of the Ann Arbor Downtown Development Authority. In response to an emailed query from The Chronicle, Hieftje indicated that he would not yet be nominating replacements for Newcombe Clark or Leah Gunn, as he felt there was “no rush.” The terms of Clark and Gunn expire on July 31, 2013. Also at the council’s meeting, Jean Cares was nominated by the council as a whole to the greenbelt advisory commission as the agriculture landowner representative. Christopher Taylor, who serves on GAC as the council representative, introduced the resolution, mentioning that Cares owns the Dexter Mill. Hieftje noted that the agriculture landowner representative slot is difficult to fill. Outcome: The council voted to postpone a vote on Cares’ appointment. This is a standard procedure, as the initial consideration is considered the nomination by the council. GAC is one of the few boards and commissions for which the council, not the mayor, makes the nominations. Every city council agenda contains multiple slots for city councilmembers and the city administrator to give updates or make announcements about important issues that are coming before the city council. And every meeting typically includes public commentary on subjects not necessarily on the agenda. Mike Anglin (Ward 5) told the council he wanted the dialogue on safe streets to continue. People who live on all kinds of streets should be listened to, he said. He wanted traffic directed away from residential streets that are not designed for that kind of traffic. The council had directed the city planning commission on April 1, 2013 to undertake a review of areas of the city zoned D1 (downtown core). Sabra Briere (Ward 1), who’s the council appointee to the planning commission, indicated during communications time that the D1 zoning review would begin the next day as the executive committee of the planning commission would be meeting to hire a consultant. During communications time, city administrator Steve Powers asked CFO Tom Crawford to explain what happened with the city’s website, which was down that day, except for a limited set of links. At the May 20, 2013 city council meeting, several people spoke to oppose the fee that was apparently charged to the Vineyard Church of Ann Arbor as part of its Friday evening homelessness ministry. That ministry is called Pizza in the Park, which the church conducts at Liberty Plaza. While oral assurances had been given, at the council’s June 3 meeting there was some follow-up during public commentary that included an interest in getting some kind of written commitment from the city that the fee would not be charged to the church. So during communications time on July 1, Christopher Taylor (Ward 3) updated the council on the park advisory commission’s action at its June 18, 2013 meeting to recommend a waiver of fees for Liberty Plaza – in response to a request from Camp Take Notice to make sure that Pizza in the Park can continue at that location. During public commentary at the end of the July 1 meeting, Seth Best addressed the council on the topic, beginning by thanking everyone. He spoke on behalf of Camp Take Notice’s advocacy for humanitarian aid generally, not just for Liberty Plaza. He was concerned that humanitarian aid is being excluded because of concern for music, bands and art. He told his story of becoming homeless in Texas, eventually making his way to Ann Arbor. Pizza in the Park had allowed him to be human again, he said – at least for an hour. Greg Pratt introduced himself as an Eastern Michigan University faculty member and vice president of MISSION. He spoke in support of the Camp Take Notice advocacy for Pizza in the Park. He provided some context for the situation. As the weather turned warmer, the Delonis Shelter ended the warming shelter, and that happened around the same time as Pizza in the Park was having a fee applied. He noted that MISSION had been working with councilmembers and he would prefer to approach it that way. Sabra Briere (Ward 1) said she’d attended an event recently where people were asked to say something nice about others, and that she had been present at another meeting when people were expected to say something nice about departing members of a commission. So she was going to say something nice about everyone. Briere read aloud remarks that she posted later on her blog. Jane Lumm (Ward 2) thanked Briere for making her remarks. Present: Jane Lumm, Mike Anglin, Sabra Briere, Sumi Kailasapathy, Stephen Kunselman, Marcia Higgins, John Hieftje, Christopher Taylor, Chuck Warpehoski. Absent: Margie Teall, Sally Petersen. The Chronicle could not survive without regular voluntary subscriptions to support our coverage of public bodies like the Ann Arbor city council. We sit on the hard bench so that you don’t have to. Click this link for details: Subscribe to The Chronicle. And if you’re already supporting us, please encourage your friends, neighbors and colleagues to help support The Chronicle, too!